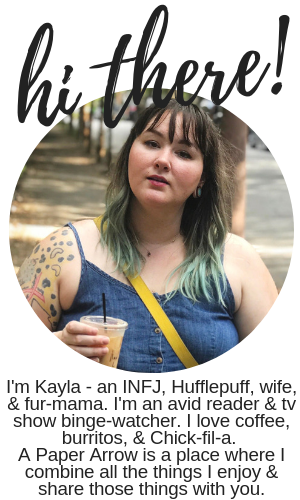 This is a sponsored post on behalf of ValuedVoice. With the holidays quickly approaching, we all seem to be buying a lot more stuff - for our friends, families, and even ourselves. And in an age when pretty much everything imaginable can be purchased online, customers must pay extra attention to avoid buying counterfeit products trying to pass themselves off as the real thing. This is especially true when buying perfume for women online. 1. Shop at only reputable online retailers. Websites like www.mygiftstop.com are a great way to ensure that you are only buying genuine merchandise - not imitation knock-offs! 2. If the perfume is being a purchased at a less well-known website, pay close attention to the price. While many websites offer great deals on a wide range of products, if the price seems to be unusually low for the brand being purchased then it's probably too good to be true. 3. Check the packaging and how it's wrapped. If the perfume is being shipped, there are a few things to check for when it arrives. Before even opening it, check the cellophane wrapping. A legitimate perfume will have cellophane wrapping that is tightly-sealed. If the wrapping is loose and the product is moving around in it, it is a sure sign that the product is fake. 4. Check the package for spelling errors. One of the easiest ways to spot a fake is if the logo or other wording on the package is not spelled correctly. Alternatively, also check for blurry lettering. Manufacturers will have clear and crisp lettering on the package, not blurry or splotchy fonts. 5. Check out the quality of the bottle. If the brand being purchased is a high-end brand, the bottle should be very well-made, not cheaply made out of plastic. Most expensive perfume manufacturers consider the feel and look of the bottle as part of the "perfume experience" so they will have attractive and handsome bottles as part of the package. 6. Pay attention to the how long the scent lasts. 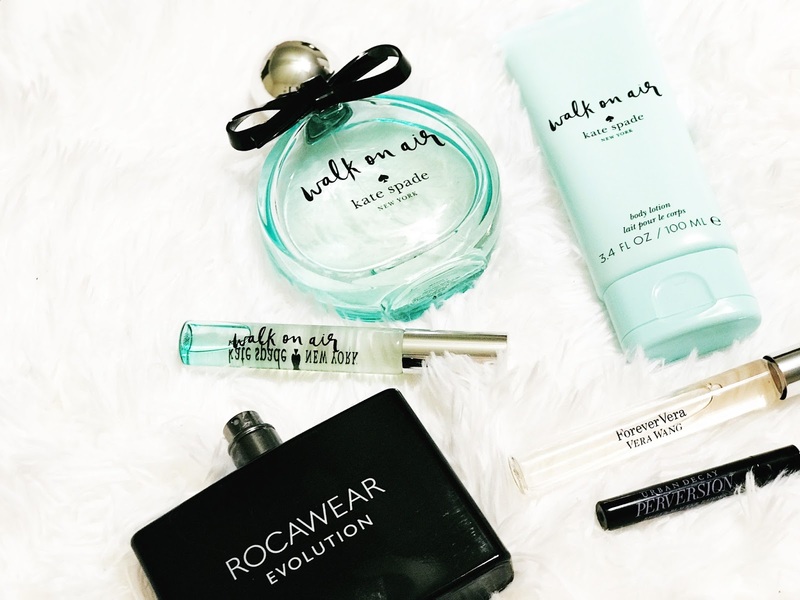 Authentic perfumes will last for much longer than counterfeit perfumes. 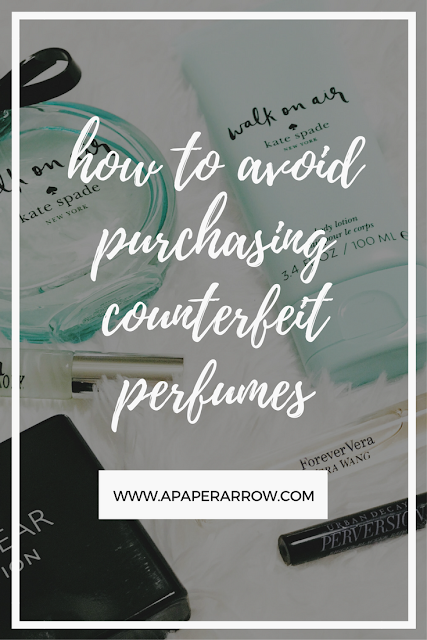 If the scent seems to fade away quickly, it is a good indication that the perfume is not genuine and should be returned to the seller for a refund. What tips do you use when purchasing items online? Good tips, I never thought about the spelling one! I heard that Kate Spade scent is nice- do you like it? Yes. Sometimes things will be flipped around or totally omitted. It's a tricky system. And yes - I love the Kate Spade one. It's so fresh and not too overwhelming.